In his twenties during the 80s, sax ace Walt Weiskopf was already good enough to play for Buddy Rich, Toshiko Akiyoshi and Frank Sinatra, but he’s better known as being a member of Steely Dan’s touring band since 2003, and was prominent on that band’s last album, Everything Must Go. That’s him with the memorable aside that kicks off the title song, a Steely Dan saxophone moment the ranks alongside ones by Wayne Shorter, Phil Woods, Pete Christlieb and Chris Potter. 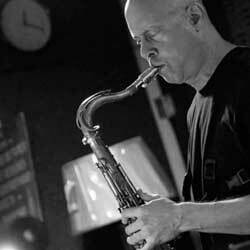 Weiskopf has been more than a valuable sideman, he’s been a composer and leader in his own right at least since his debut Simplicity in ’93, and he’s since produced a string of solid albums in the post-bop vein, including his last one, a live document we savored called Walt Weiskopf Quartet: Live. Three years after that, Weiskopf is back with his 14th long player, his first for Posi-Tone Records that he calls Overdrive (out June 10, 2014). If you know about Weiskopf and about Posi-Tone, you know that this is a match made in heaven. The label has a reputation for issuing jazz records of the crisp, melodic and swinging straight-ahead kind, and that’s this saxophonist’s specialty. 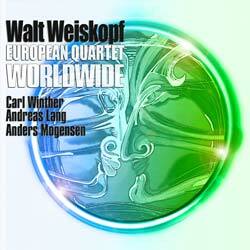 Save for a lissome, waltzing cover of Michel Legrand’s ballad “What Are You Doing The Rest of Your Life?”, Overdrive it’s all sturdy, engaging Weiskopf compositions, full of well-considered updates on the classic bop form. 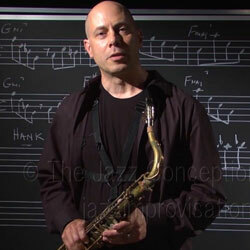 That means plenty of rapid, twisting and sharp heads played in unison, such as the ones that launch “Like Mike,” “Four Horsemen” and “No Biz” They’re typically followed by Weiskopf tearing off into solos that prowess, fragility and nuance, often in the proud tradition of both Rollins and Coltrane but with own chunky tone. Weiskopf has good choices in who to pair up with on those unison runs. Guitarist Yotam Silberstein and the vastly underrated vibraphonist Behn Gillece do a great job in not only taking turns riding shotgun on those wild rides up and down scales but also push the leader with accomplished solos of their own, along with pianist Peter Zak. David Wong and Donald Edwards supply rock solid rhythm section support. The post-bop formula is tweaked enough to accommodate some pleasant change ups like the swinging minor key blues number “Night Vision,” the four movement “Waltz For Dad” that features some unusual chord changes, and especially the title song. “Overdrive” has enough rich complexity in the intro alone to leave even his erstwhile employers Walter Becker and Donald Fagen impressed. The main body of song has a rock feel to it, mostly in its gait, but also found in the rough edges of Silberstein’ guitar solo. Did I mention that Weiskopf is also an author? He’s written a half dozen books on advanced improvisation. But for demonstration purposes, it’s best to spin up one his records and Overdrive is a fine place to start. Check out Walt's upcoming tour schedule. Check out Walt's Master Classes.